A man, who was in the process of moving to North Carolina, was killed in a one-vehicle accident. The 38-year-old died at the scene of the accident along Route 17 near River Bend, which is in eastern North Carolina. The man was a passenger in the vehicle, which was driven by a 43-year, of New Bern, NC, according to police. The woman was allegedly speeding, when she ran from the road into a median and lost control of the vehicle. The vehicle overturned several times, and landed on its roof in the southbound lane. The man was ejected from the vehicle, and thereafter was airlifted to Vidant Medical Center. Charges are pending against the woman. Along with criminal charges, the woman may also face civil charges. In North Carolina, the idea of contributory negligence may come into play. Contributory negligence is old law. Contributory negligence states that if you contribute to your injuries in anyway, you are entitled to no compensation. North Carolina is one of only four states that still adheres to this old law. The other forty-six states have done away with contributory negligence – for good reasons. Contributory negligence is an unfair law. You do not hear about contributory negligence because insurance companies routinely fight for its survival. The remaining states use some form of comparative negligence. In comparative negligence, the jury determines the amount of fault. For example, if a jury determines that you are entitled to $20,000 to compensate you for your injuries but also finds you 10 percent at fault, you would receive only $18,000. In North Carolina, in that same scenario, you would be entitled to nothing. Contributory negligence remains the law in North Carolina because insurance companies and big businesses spend millions of dollars lobbying the legislature. Because North Carolina law favors the insurance companies and big businesses, do not give a statement or speak with anyone. You should contact a lawyer immediately. In many instances a lawyer will tell you how to handle your claim on your own. If you or a loved one has been injured or killed in a vehicle collision, call the law offices of Reeves, Aiken & Hightower, LLP. 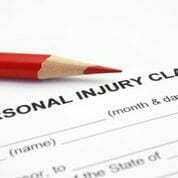 We can help you with your personal injury claim. For a consultation, you can reach our Charlotte, North Carolina office at 704-499-9000. Further, if you have been injured in South Carolina, you can reach our Baxter Village office in Fort Mill, South Carolina at 803-548-4444, or toll-free at 877-374-5999. Two serious injuries were suffered after a vehicle collision that occurred in North Charlotte. Charlotte-Mecklenburg police reported that the two pedestrians who were injured were hit on West Sugar Creek Road just off the I-85 ramp by a truck that was entering the ramp entrance. The two victims were taken to a local hospital with serious injuries. One of the victims reported to have a fractured leg. They were taken to CMC Main, and officers spent a few hours attempting to clear the scene. No charges have been filed at this point. In many states throughout the US, the pedestrians in this scenario would likely recover something if they were not the ones who were primarily negligence. 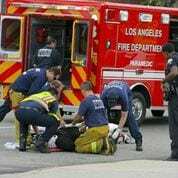 In some states, like our neighbor to the south, there is a system of recovery in personal injury suits called comparative fault, or comparative negligence. Under this system, or theory of negligence, the plaintiff will recovery if they are less than 50 percent at fault. 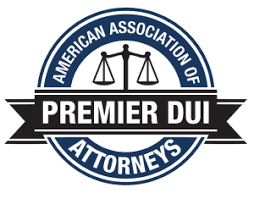 If the plaintiff is 51% or more at fault, they will not recover. This is a sensible standard and leaves room for the possibility for recovery when someone has still exhibited a small amount of negligence in a particular situation. However, in the state of North Carolina, the stringent standard of contributory negligence is theory by which the state adheres. Under this negligence system, if a plaintiff if found to be at fault, in any way at all, they will be barred completely from recovery. The level of fault could be as low as 0.01% fault of the plaintiff, and they are left with NO recovery. The only defense to contributory negligence is if it is proven that the defendant had the last clear chance to avoid the harm, and did not. For example, a plaintiff has edged his car out into the road slightly as he is attempting to make a left turn. He is technically negligent due to the fact that he is a bit too far into the road into which he is attempting to turn into. A defendant is texting while driving, not paying attention, and hugging the shoulder. He looks up from his phone and sees that the plaintiff’s car is pulled out a bit too far. However, he is over the white line, and a reasonable person in that situation would be able to avoid the harm, and he doesn’t smashing into the slightly negligent plaintiff. Under the theory of contributory negligence, the plaintiff may recover because the defendant had the last clear chance to avoid the harm and did not. However, the plaintiff would surely recover in a comparative fault state. In the story above, if the pedestrians who were hit were planning on bringing suit, they would have to illustrate to the court that they were not negligent at all, or that the defendant had the last clear chance to avoid the harm and did not. If you or a loved one has been injured in an accident, whether it be as a pedestrian or as a driver in a vehicle, call the law offices of Reeves, Aiken & Hightower, LLP for a consultation. We can determine, with the help of the reports, whether negligence was at hand, and whether someone should answer for the injuries that were caused. Call us for a confidential consultation at our Fort Mill, South Carolina office at 803-548-4444, or at our Charlotte, North Carolina office at 704-499-9000, or toll-free at 877-374-4444. We will be happy to assist you with your legal predicament. A 64-year-old Charlotte resident was killed last weekend near U.N.C.C. after his car flipped several times, fatally injuring the man. The North Carolina Department of Transportation has reported that this accident was caused by a multitude of factors; mainly alcohol and reckless driving. The police reports state that judging by the skid marks, the car driven by the now deceased driver, was travelling almost 90 m.p.h. on W.T Harris Boulevard around 3:30 a.m. Many may not know, but the posted speed limit on the majority of W.T Harris is only 45 m.p.h., as it is not a highway. The speed of the vehicle, combined with the impact of the grassy bank the driver collided into, propelled the car almost a whopping 150 feet from the point of take off. The car then proceeded to flip three times before landing on its hood. The driver was not wearing a seatbelt at the time of the accident, and was thrown from the vehicle onto the pavement. The county coroner reports that the man died from crash-related injuries, yet the exact time of death cannot be deduced. Speed and alcohol were reported factors to this terrible accident. The passenger who was travelling with the victim was also injured, but has since been released and it is believed that he will make a full recovery. If you have been injured in a car accident such as the aforementioned one, then contact the law offices of Reeves, Aiken, and Hightower, LLP toll-free at 877-374-5999. 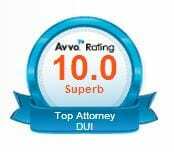 Mr. Reeves can assist with both the personal injury and DWI aspects of your case.